Brandon SHAW blamed for failing to yield; killed baby in crash June 30, 2017, Oregon State Police. 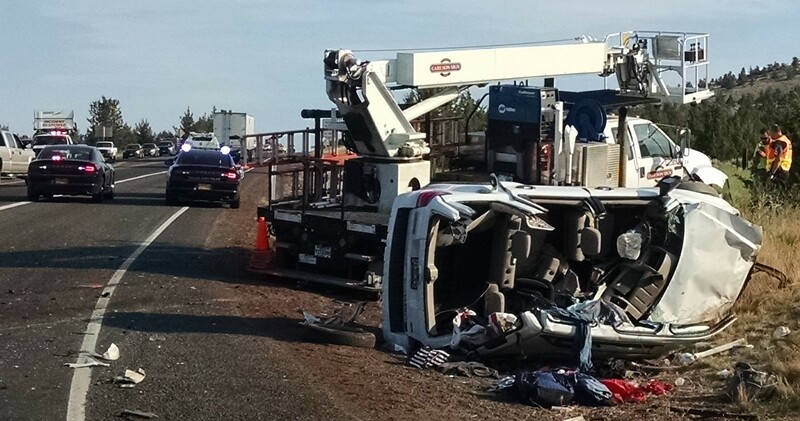 07/01/2017 — Oregon State Police report that on June 30, 2017, at approximately 4:55 pm, Oregon State Police, and emergency personnel from Jefferson County responded to a fatal motor vehicle collision on US 97 near milepost 105, Culver Highway Junction. Preliminary investigation revealed that a white 2012 Ford Escape, operated by Brandon SHAW, 26, of Culver, was traveling northbound on US 97 near Culver Highway Junction. Brandon SHAW attempted to negotiate a left turn onto Culver Highway and turned in the path of a southbound white 2015 Ford F750. The white Ford F750, operated by Douglas DEAN JR, age 41, of Redmond, attempted to avoid the Ford Escape and struck the passenger side of the Ford Escape. The Ford Escape came to rest on its side. The 9-month-old infant passenger of the Ford Escape suffered fatal injuries and was pronounced deceased at the scene after life-saving measures were performed by medical personnel. Brandon SHAW was transported by air ambulance to St. Charles Medical Center in Redmond. Douglas DEAN JR was not injured as a result of the collision. Safety restraints were utilized and alcohol is determined to be a contributing factor. OSP was assisted by Jefferson County Sheriff’s Office, Jefferson County Fire Department, LifeFlight, and the Oregon Department of Transportation. This entry was posted in DWI Arrests by State, DWI crash photos, impaired driving with minors in vehicle, injury or death and tagged 9-month-old infant passenger, Brandon SHAW, Douglas DEAN JR, Driving Under the Influence, driving under the influence of alcohol, driving while impaired, driving while intoxicated, DUI, Jefferson County Fire Department, Oregon State Police, OWI. Bookmark the permalink.